It doesn’t matter who you are—a blogger interested in food and fashion or a B2B marketer working for a custom plastic molding company—you’ve probably been hearing about Pinterest and how it could be good for your brand. This social phenomenon with skyrocketing popularity rates higher than Twitter, LinkedIn and Google+ combined has become the latest craze for marketers of all kinds, used to increase online exposure and bring in new traffic, as well as connect with others in the industry and enhance a company’s overall image. Yet even as Pinterest’s traffic and membership numbers have continued to grow, for many people, it’s still been the site that doesn’t make much sense. Why is it popular? Why does it matter? What do you need to know? Here are answers to the top five questions we most often get about Pinterest! Q1: What’s the Deal with Pinterest? Why So Popular? To understand the appeal of Pinterest, you’ve got to understand what exactly it is. At its most basic, Pinterest is a social network of visual bookmarking—users like things online, pin them to boards named for topics of their choice and then have an easy, attractive way to share them with contacts. Simplicity: There aren’t a ton of bells and whistles to the Pinterest design. You set up boards, add a browser button, and voila: you’re ready to pin. The day-to-day interaction on Pinterest is just as easy—pin, comment or repin, that’s it. Visually Oriented: In today’s world of flashy commercials and glossy magazine ads, it’s not hard to understand one of Pinterest’s greatest strengths: it’s pretty. Simply put, it’s easy to like a site filled with attractive images, curated by users who find the information behind the images helpful. Focus on Content, Not on Users: Part of Pinterest’s appeal lies in how it’s different from other networks. Where other sites scream “look at me,” Pinterest gets users saying, “look at this.” The less me-driven subject matter is more appealing and more shareable in the minds of users, giving a more viral power to the Pinterest model. .Caters to Collectors: Pinterest provides a beautiful, easy way to organize or collect all your inspirations into one easy-to-find place. Whether recipes from a local grocery store or financial tips from a mobile merchant account provider, everything you want to keep track of stays in one place. Q2: Who Are All These People on Pinterest? 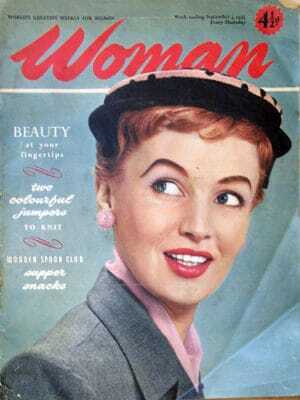 Is It Only Women? Recent statistics show that Pinterest draws as many as 11.7 million unique monthly visitors in the U.S. alone—and while the majority of these pinners are female, the audience is constantly expanding. Whole Foods Market: 40 boards and 29K followers. Pins under various recipe themes, beautiful kitchens, gardening ideas, good books, holiday themes and more. The U.S. Armyz; 37 boards and almost 2K followers. Photos and videos featuring aspects of army life and army families, as well as army décor and humanitarian relief topics. Oreck: 21 boards and over 1K followers for this vacuum maker. Maintains color-themed boards, floor-centric boards and pictures of cute animals, all in addition to cleaning ideas and examples of its products in action. Scholastic: Book publisher with 13 boards and almost 3K followers. Pins Scholastic products, book images, as well as libraries, book decorating, wise words and more. Q3: How Can Pinterest Benefit my Brand? Increased Exposure: It’s the basic law of social networking and information sharing—when users share your content with their friends, they expand the reach of your influence. As people pin from your brand, they expose it to more and more users. New Traffic: One of the best parts of more exposure is that it often means more traffic. As users are pinning images from your site and sharing them with friends, they’re essentially pointing people back to your website. 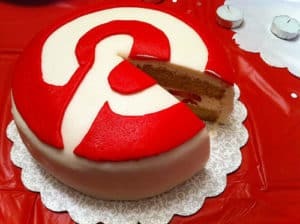 Enhanced Branding: Pinterest, like other social network channels, is another way to reinforce your brand messaging online, along with Facebook and Twitter and other sites. As users come to see you in more and more places online, they get a more solidified sense of what you offer. Q4: Once I’m on, What Do I Need to Know about Pinning? Once you see the value of Pinterest, what can you do about it? What do you need to know about pinning? Here are a few tips! Pin Interesting Things: Once you’ve set up a Pinterest account with your name and a relevant description of what you do, resist the urge to only pin self-promoting material or products. You can (and should) pin your content, but it’s important that you do it with care so as not to seem overly promotional, something not looked on favorably by Web users. Pin what you find interesting and what will be valuable to your followers. Pin from the Original Source: Any time when you pin an image on Pinterest, make sure you’re linking it back to the original source. Not only will this respect the person whose content you’re pinning, but also it will make you seem more credible as well. Be Visually Pleasing: In a Pinterest culture, looks matter. Make sure your site has attractive images that will be pinnable by users. Connect: All social media relies on connections, and that’s as true of Pinterest as it is anywhere else. Look for ways to build connections with customers through creative boards, regular interaction on your and others’ pins, etc. Q5: Is Pinterest Copyright Infringement? 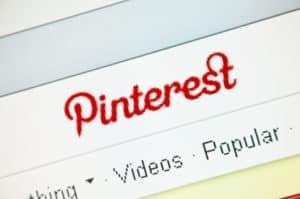 Even if you aren’t active on Pinterest, you may be aware of one of the biggest controversies surrounding the network in recent months: the issue of copyright infringement. When users sign up on Pinterest, they agree to a terms of service that, some say, makes it OK to pin content without the owner’s permission or, in other words, that makes stealing content OK.
One of the most publicized articles about this issue came from photographer and lawyer Kirsten Kowalski, who announced she was deleting all her boards because she saw a legitimate grounds for someone suing a Pinterest user for copyright infringement. Kowalski later wrote to say that Pinterest’s Ben Silbermann called her personally to discuss the issue and indicated changes were coming. Currently, Pinterest says most content creators respond positively to having their work pinned, knowing it brings traffic to their sites and increases their exposure. Nonetheless, Pinterest offers a “nopin” code that can be added to sites by owners to protect their work from being shared; likewise, it’s partnered wtih Flickr to make sure photos receive proper attribution or are protected from being pinned if the owner wishes. Shanna Mallon is a writer for Straight North, one of the leading Chicago Web development companies. Follow Straight North on Twitter and connect with Straight North on Facebook. I Like your Q3: How Can Pinterest Benefit my Brand? 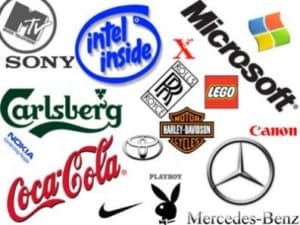 Really it;s very helpful to make your Brand Awareness through out all world. IF i have started a new business related to plastic injection molding and i want to represent it side to people or in Market then Pinterest is best tool for Make Brand Awareness for your Business. I’ve never got into Pinterest mostly because of one thing – the lack of brand/fan pages. Any brand requires a seperate account and login just for the brand, assuming they have other accounts for personal use or other brands. Great article, thanks! 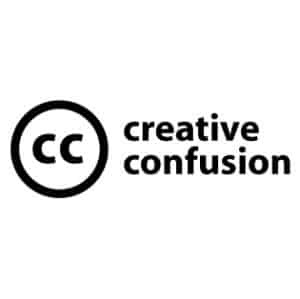 Regarding Q5: “Is Pinterest Copyright Infringement?”. That is why it is better to use your own pictures! If one does not have budget to hire professional photographer the best solution is to utilize royalty free photos, kind of cost effective solution. I’m just in process of completing a course on utilizing social media for direct sales professionals. I wasn’t going to include Pinterest at first, but then when I did a survey, some business owners wanted to know about it and how to utilize it. I agree with so much of what you have said. The one item I’d like to add is that when you have your own infographics on your website or blog, and pin these to your business board – whatever business that might be – it will drive traffic back to your website and increase exposure for your business. I had an infographic on my website for my free download – and just by pinning this in Pinterest has created a whole new interest in this download. I think for this networking site, you do have to think a bit outside the box when it comes to marketing for your brand – especially if your brand is a service. Thanks for adding that, Kim. Thanks, Kim! Pinterest is definitely becoming a huge referral source for websites, and pinning your own infographics is a great way to bring in traffic. Always be cautious not to overpromote your own work, however, as that can work against you in the minds of connections.